if yes, definitely never get gifts like balloons, cake or other prizes. but here I am not going to discuss about the anniversary. 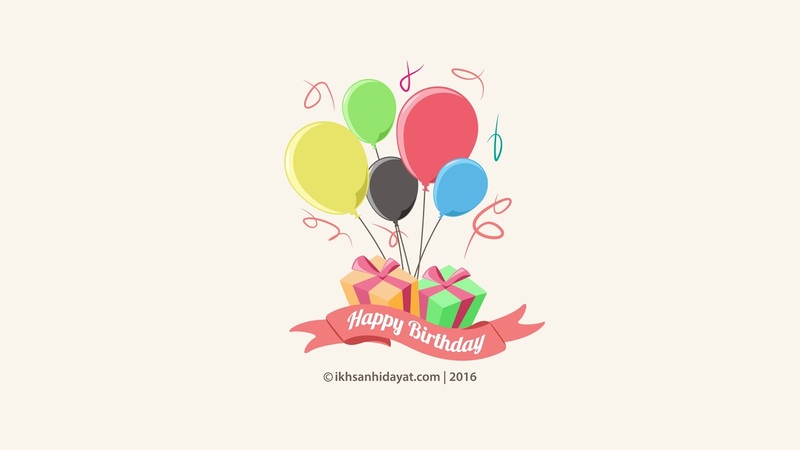 I'm here to discuss how to create a birthday balloon image using adobe illustrator cc 2015. If you are curious how to make it. Please watch the video below. or you could also download eps files of her below.